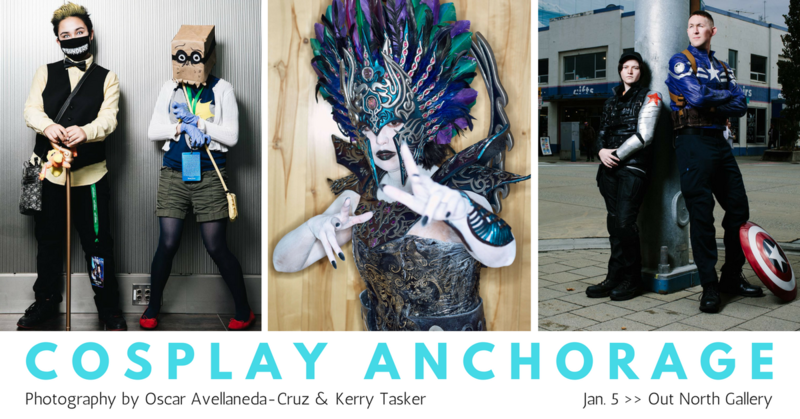 Photographers Oscar Avellaneda-Cruz and Kerry Tasker have teamed up for a new photo exhibit that explores the world of cosplay in Alaska with a series of portraits and candid moments captured from 2015-2017. Attend the exhibit during our weekend hours at the Out North Gallery downtown. We're open from 12 p.m. - 4 p.m. Sat/Sun through January. Watch: Cosplay Alaska on KTVA's Daybreak morning show.